Still the same as usual, though a bit less rushed. Like every episode so far, they’re doing a very good job rewriting the story to fit an anime’s pace. Tae’s intro was good. Munehisa’s too though he didn’t even talk for now. They also established the fact their physical abilities and the items they bring get enhanced in the other world. Despite skipping straight to the treasure in episode 3 after just a bit of exploration, they actually showed more of the dungeon this time too. I think the negotiation scene was the best thing so far they replicated from the game, since it doesn’t need much animation. 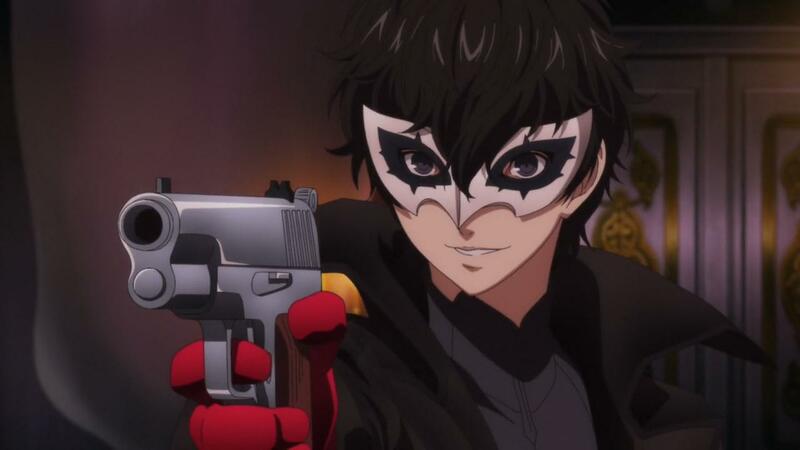 The Persona getting into Joker’s mask effect was even cooler than the game too, and this is the first time I can say this so far. Fusing during the boss battle didn’t surprise me, as “gameplay changes” like that are very frequent in game to anime adaptation like that. In fact, while they understood they need to take tons of liberties with the story, they don’t take enough with the gameplay elements, hence why the battles look so boring. Most of the boss fight scene was really bland just like the other fights so far. And with lots of weird stuff like Kamoshida shooting his super attack right near the party instead of right on them. Because obviously it would mean they died if something like that hit them directly, as there’s no HP here. They could have just made them run around or try to seek cover or something, instead of just standing waiting for their turn like if it was a turn based game. It’s just my own theory but I think the fights are boring because the anime was too soon compared to the game release. The anime staff didn’t get the time to get to know the game better and imagine cool ways to make it into an anime. And I mean before actually working on the anime. 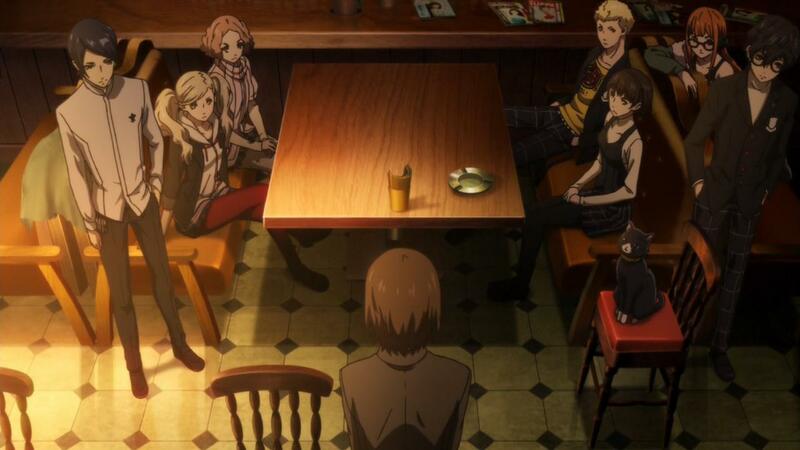 Persona 4 isn’t even 5% as cool as Persona 5, and yet the fights in its anime adaptation were fine and cool because the staff had more time for the game to get ingrained in their lives, as the anime happened years after. 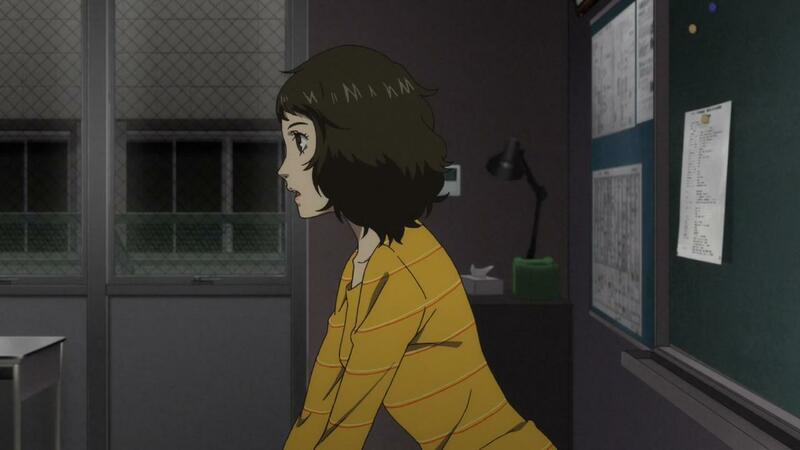 I think that’s what the problem is, and not whether the animators on P5 are good or not. Obviously though, they had schedule problems as they only finished the OP animation now. 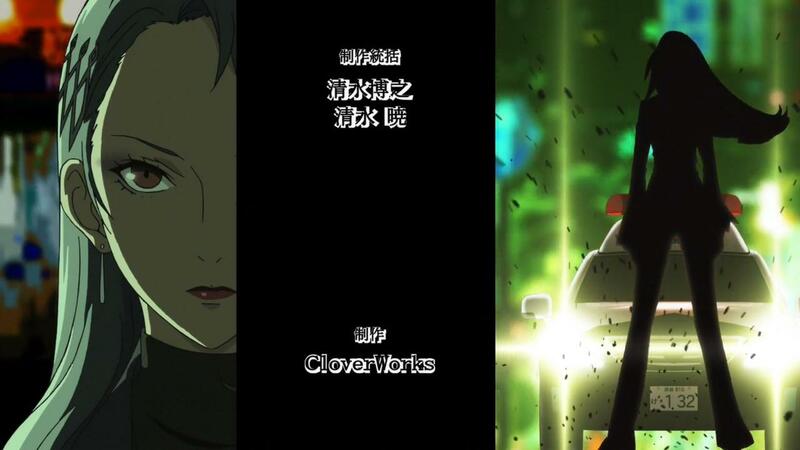 The first half is kinda bland but the second half of it is really cool with stuff like that super cool Sae scene. 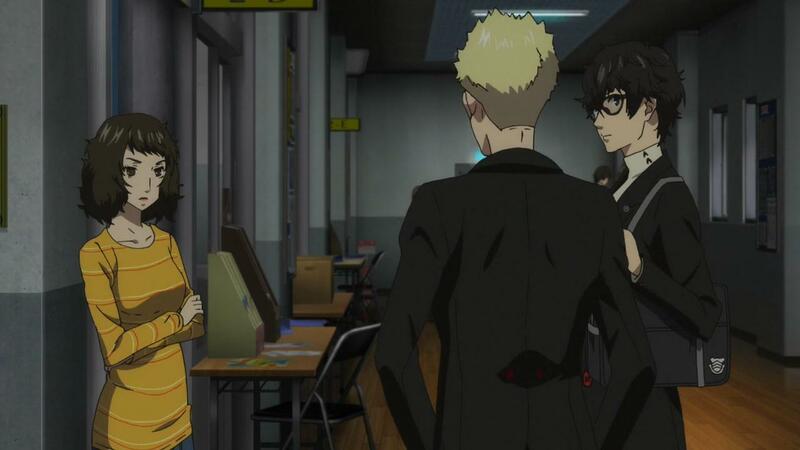 The most shocking thing is how they’re bringing out the fact that everything so far is a flashback from some current present with Goro saying he found out about Joker and his pals. Despite how they’ve already established what we see is a flashback during Joker’s interrogation by Sae, like in the game. It feels really weird and overly complicated just to shove in more Goro, which I find hilarious. They’re trying really really hard with the fanservice. Anyone who didn’t play the game would have no idea what the hell that scene. 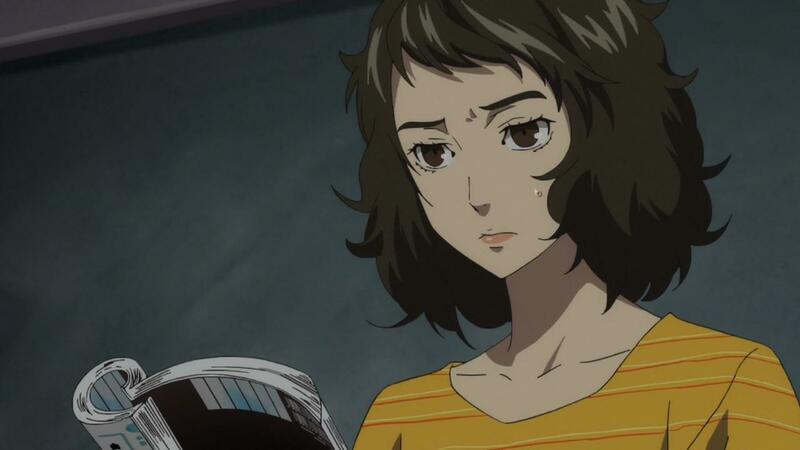 Are we gonna get Goro flashforwards now instead of the Sae Joker interrogation? 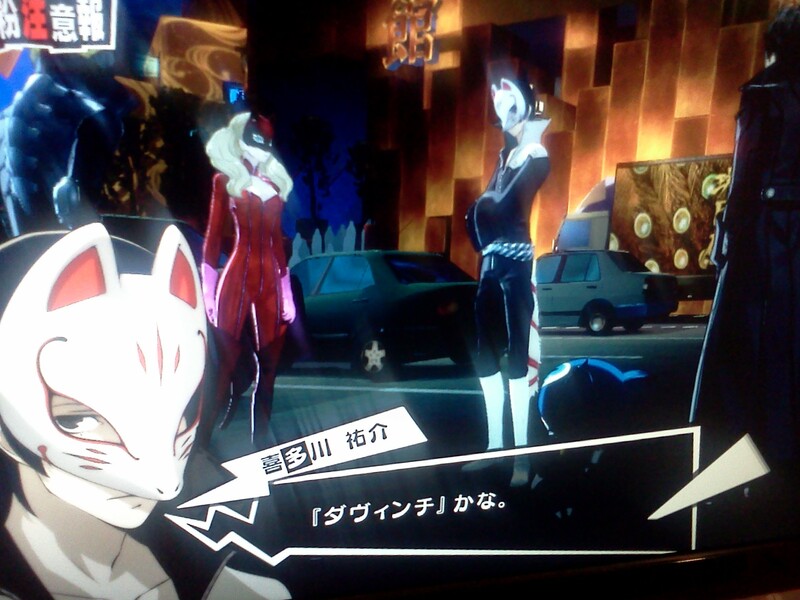 This entry was posted in Persona 5 and tagged Persona 5 on April 28, 2018 by rockmanshii. The story changes are good and make sense but everything happens way too fast. They even skipped the OP. Though I think they might do it like a few anime in the past and only show the OP at the start of an arc to gain as much time as possible. There’s no jikai directly included in the show too except for the pics in the ED. I could swear they just copypasted part of the game’s cutscene but I’m too lazy to check. Really happy they showed one of the best side characters, Mika. I hope to see her again. 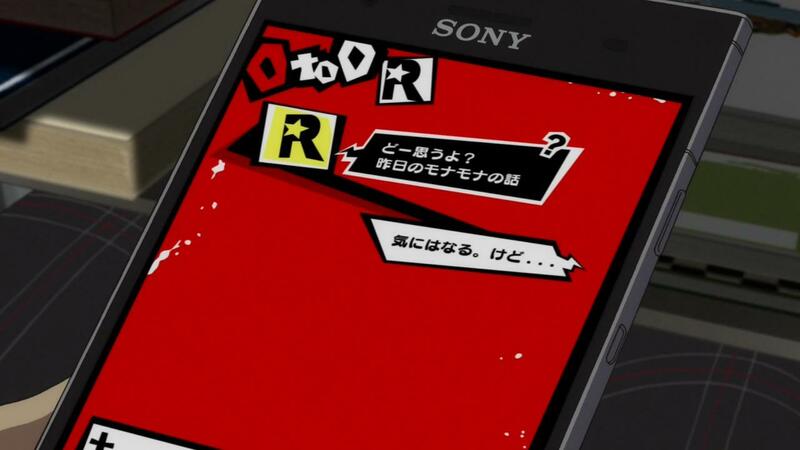 Like, Joker is typing but his hand isn’t moving. 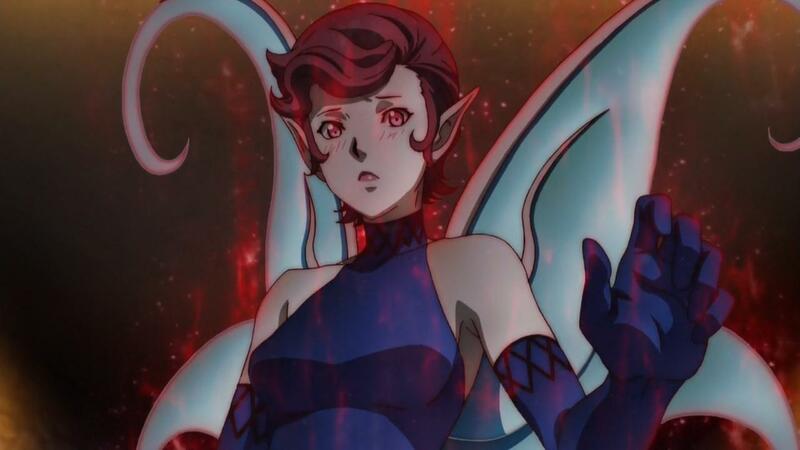 I still I think the main problem isn’t that it’s rushed but that’s they’re trying way too hard with the fanservice. Well, this time it wasn’t as much as episode 2. Goro didn’t show up too, unless I missed him. They try to reproduce the game’s aesthetics, but they didn’t have as much time or whatever, and it never looks as good. The phone looks bad, the fast forward effect looks bad, etc..
EDIT Oh I did miss Goro in the subway, that was a pretty good scene with him. 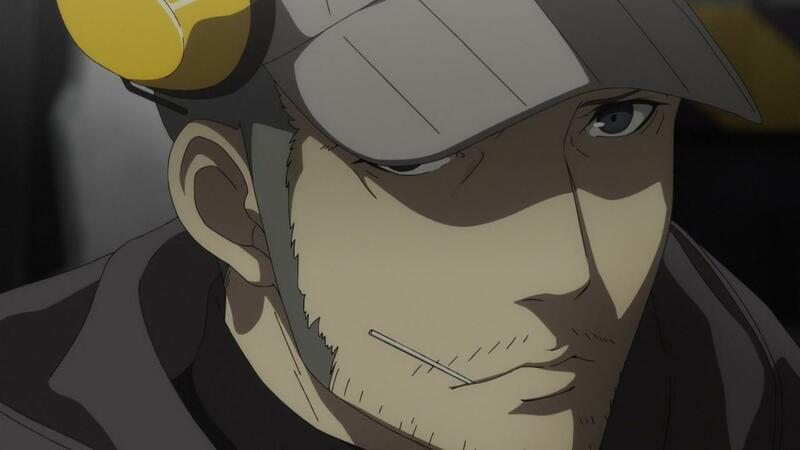 I used to think in the anime they’d say flat out Kamoshida sexually abused Shiho but they didn’t. 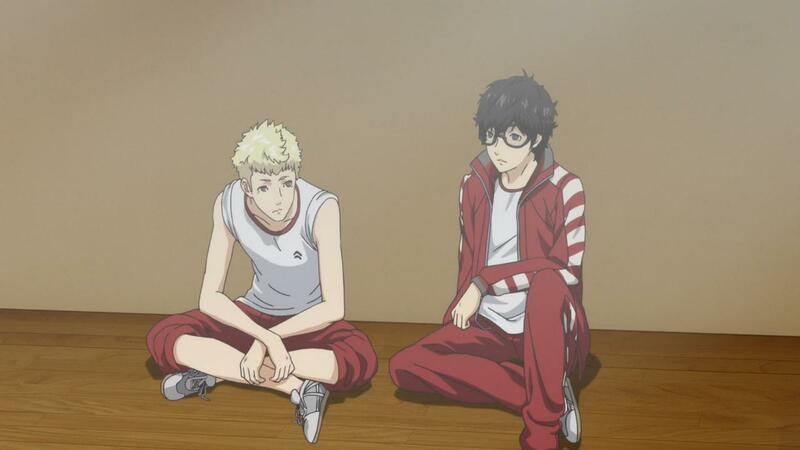 The moment when Joker and Ryuji realize it during their confrontation with Kamoshida isn’t in anymore so it’s slightly less obvious for the play/viewer, though it’s still really obvious and there’s other hints now like showing more of Kamoshida’s true colors. They did a better AOA animation this time, having the good idea to show everyone before and after. The fight still looked just as incredibly boring and weirdly static as in episode 2 though. One of the main problems is they cling too much to the game mechanics and want at all costs to show the enemies getting “down”. This entry was posted in Persona 5 and tagged Persona 5 on April 21, 2018 by rockmanshii. I don’t wanna say it’s lack of talent because there’s a lot of good ideas and good rewriting to make the story work. It’s just that along with the rushed feelings, there’s the impression the staff is going through a fanservice checklist without worrying if it’s pertinent story wise or not. It’s fanservice without a soul. But I guess it’s still too early to judge and shall give it the benefit of doubt. Is what I thought until I saw the horrible recreation of the all out attack, which made me burst out laughing, with a mix of second hand embarrassment. If I had some friend and wanted them to get into P5, I definitely wouldn’t show them this. It looks incredibly incomplete, just like the OP animation. It’s weird they bothered showing AOA now anyway when there will be plenty of occasions later. But gotta deliver on the fanservice I guess. I also hope the OP will change later and they just didn’t get the time to finish it, because it’s just a recycled clipshow. The ED animation fares out better. 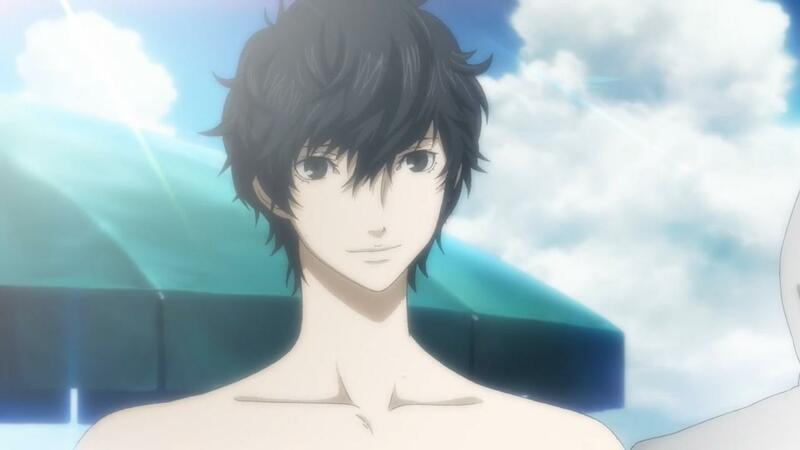 The “hey have some Goro and Sae” at the end is pure fanservice too but this is fine and the director did notify us beforehand we’ll get our fill of Goro. 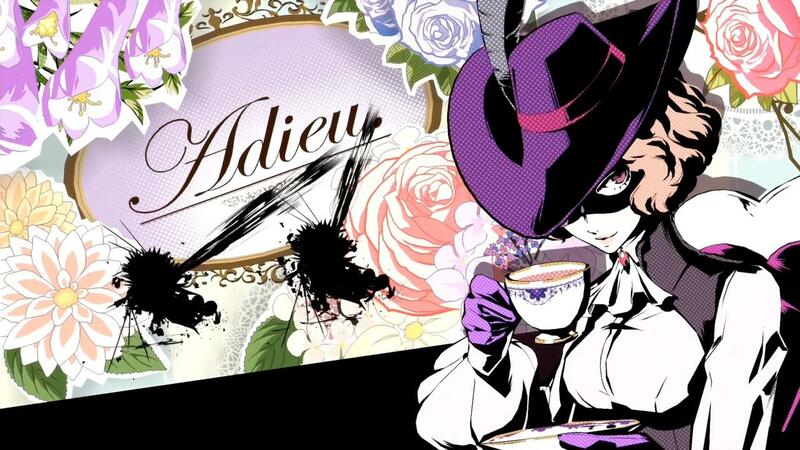 This entry was posted in Opinions on..., Persona 5 on April 15, 2018 by rockmanshii. Knowing Sugita that was totally a Nobunaga The Fool reference. Please do not read this post if you haven’t finished the game yet. There’s many points you won’t get unless you played the game anyway. There’s also Persona 4 spoilers. I think it’ll be a shame to not 100% enjoy one of the best games of the decade because of spoiling yourself in order to be a cool kid on the net. You’ll be wasting both your fun and life. I wrote a spoiler free review here. Webms & pics that weren’t took with my smartphone are courtesy of their makers. I tried to organize this post the best way I could think of, but I’m not a very good writer, so I apologize as some parts may be confusing. It’s also very long as I have a lot of things to say about the game as it was really interesting. Similar to what I say about Pretty Rhythm, Persona 5 made me hit the maximum amount of happiness I can be regarding my hobbies. 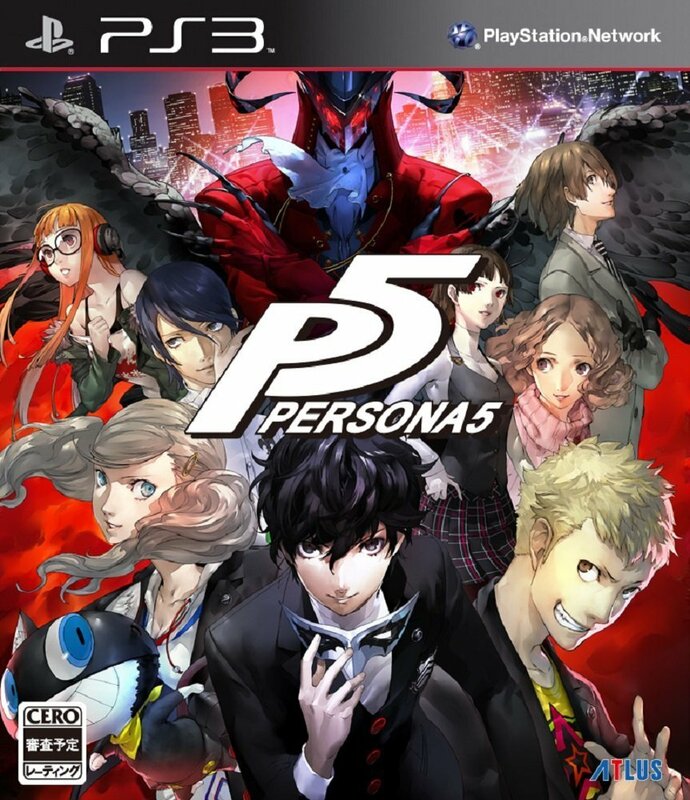 Persona 4 is one of the best games I aver played, but Persona 5 is much better, one of the best games I ever played and the best I played in years. Along with SRW games it was the biggest reason why I initially bought a ps3 in 2014. It feels weird that I finally finished the game now after waiting for it so long. I still vividly remember how excited I was when the teaser and PV1 got released, and now I actually finished the game. It feels weird. If you’re patient things go your way one day. Since the end of September 2016, I’ve completely shut myself from Persona related things to avoid spoilers while playing the game, and only started checking some things around when I was nearly done with writing this post, as I didn’t want to get influenced by other’s impressions. The only background info about the game I know is how 123 could have been a main character. So it’s possible there’s some things I mention in this post that already got confirmed or denied in the artbook or other interviews. For now I only discussed the game with a very nice Italian online friend I recently made. I didn’t spend time to read the artbook myself and only skimmed through it for now. 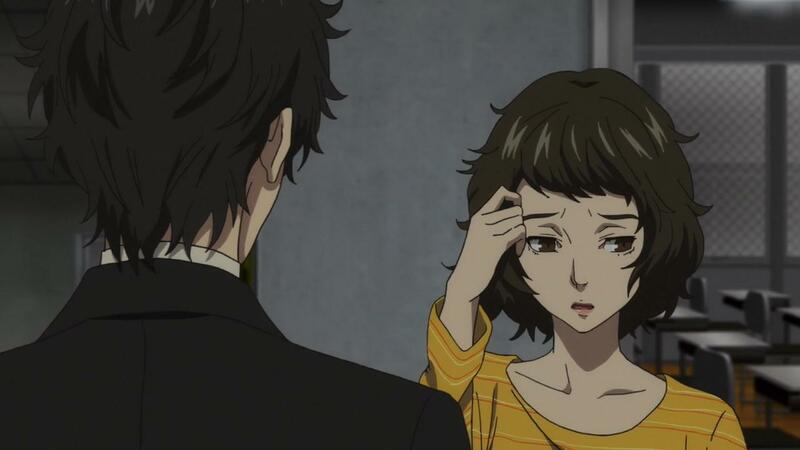 Persona 5 is popular so people will translate things in it, so I don’t feel like doing it. Back in August I didn’t wait for someone to do it and checked the demo impressions myself, as I really wanted to read them, being impatient about the game getting out. Now it’s not the case anymore. This entry was posted in Opinions on..., Persona 5 and tagged Atlus, P5, Persona 5, Persona5 on January 25, 2017 by rockmanshii. I’m currently writing another post about my impressions on the story as this is a spoiler free review. There may be gameplay ideas spoilers though. It was really fun, one of the best games I played. When I played Persona 4, I thought it was one of the best game I ever played, and this is much better than 4 on all points. Similarly to Pretty Rhythm, Persona 5 made me hit the maximum amount of happiness I can be regarding my hobbies. I also think Persona 5 is one of the coolest game ever, and it doesn’t even have mechs. Imagine if there was some. I hope Persona 6 has mechas. This entry was posted in Opinions on..., Persona 5 and tagged P5, Persona 5, Persona5 on December 27, 2016 by rockmanshii. Source Then the staff makes you fill a questionnaire, and give you a souvenir. Source Lastly, they ask the player to please refrain from leaking spoilers so everyone can fully enjoy the game when it’s out. This new batch of impressions has a lot of new things. So might as well post here what I read anyway, instead of keeping it for myself. I won’t repeat things that we already know. Also keep in mind that those are people’s impressions, so there may be people who remember details wrongly. 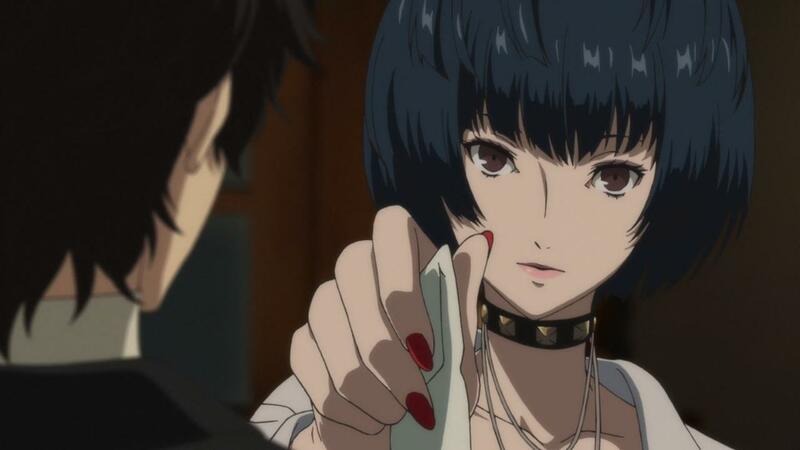 Also, Persona Central reposted the summary I wrote last time and fixed a few points I wasn’t sure about or got wrong so you should read their summary now instead. Lastly, my Japanese is far from perfect, so if there’s a sentence I’m not 100% sure about, I’ll mention it under parenthesis. Edit on august12th: Just noticed I accidentally wrote Shinjuku station instead of Shibuya station at some point. I corrected it. 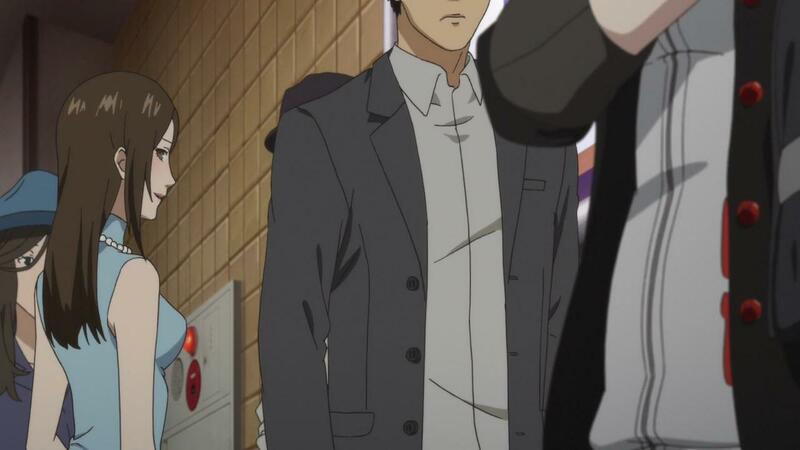 Also added a photo of Sojiro with the suit+hat and fanart of MC getting lost in Shibuya station. This entry was posted in Opinions on..., Persona 5 and tagged Persona 5 on August 12, 2016 by rockmanshii. 7th August was a premium one. I’m omitting things already known or already in the previous post. 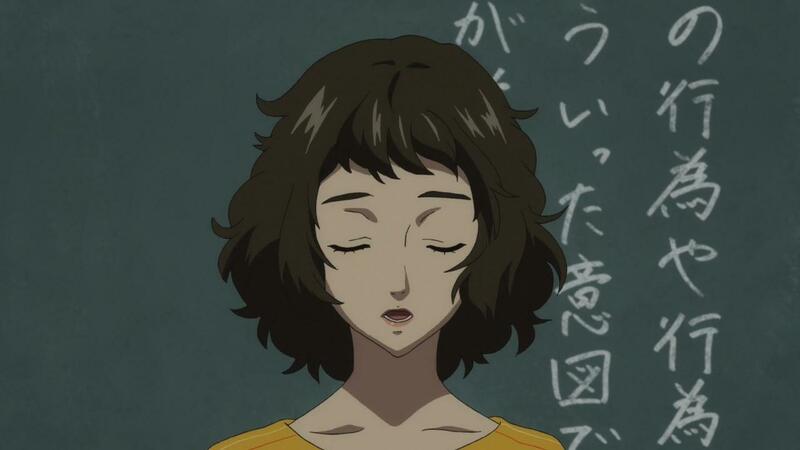 I don’t even like Haru the most, I like everyone so far, I just picked the first pic I found. This entry was posted in Opinions on..., Persona 5 and tagged Persona 5 on August 7, 2016 by rockmanshii.